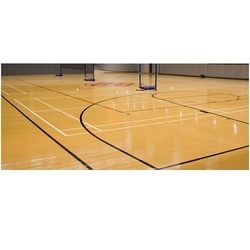 Our product range includes a wide range of badminton wooden flooring, volleyball court flooring, parquet wood flooring and multipurpose wooden flooring services. 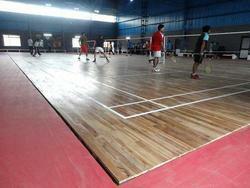 We have established ourselves as trustful entity fabricating premium grade Badminton Wooden Flooring. 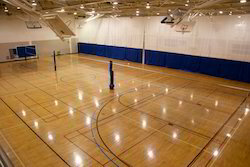 So as to fulfill the changed needs and desires of our honored customers, we are engrossed in presenting Volleyball Court Flooring . Provided services are rendered under the guidance and understanding of knowledgeable executives after understanding the changed desires of our patrons. Together with this, our effectiveness and inexpensive pricing structure and alteration facility made us one of the notable firms of the market. Our offered Parquet Wooden Flooring Services is available in engineered parquet wood blocks and solid parquet blocks. We offer our clientsMultipurpose Wooden Flooring Services across country ar competitive prices.